The Evolution Championship Series (Evo) represents the largest and longest-running fighting game tournaments in the world. 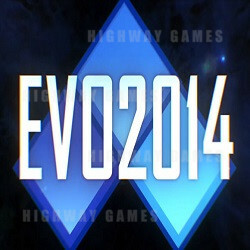 Evo 2014 brings together the best of the best from around the world in a dazzling exhibition of skill and fun, as players and fans gather to honor the competitive spirit in an open format and determine a champion. Our tournaments are about more than just winning. Evo is open to anyone, feature stations available for relaxed free play, and offer unique opportunities to meet people from different countries and different walks of life who share your passion. Established champions face off against unknown newcomers, and new rivals that might have only talked or fought online meet up and become old friends. Check out the Player Guide for tournament and player rules, if you are planning to enter any competitions. Children 12 and under are allowed in all halls free of charge when accompanied by a pass holder. If you are competing in any official EVO tournaments, this is the pass for you. The full EVO experience! All access, with tournament memories that will last a lifetime. Complete full spectator access to all events, including the insanity of Sunday Finals. Incudes the exclusive Evo 2014 t-shirt. Priority seating is limited! Buy your pass before they sell out! Complete access to the exhibition hall for the full course of the event, and access to the tournament hall all day Friday and Saturday. Access to the insanity of Sunday Finals in the tournament hall is limited, and priority seating will be given to Full Access Pass members!